Our charity supports serving and retired soldiers and their families. It is easy to think of wounded as physical injuries however a high percentage of the cases we deal with are less tangible injuries, including people falling on hard times. 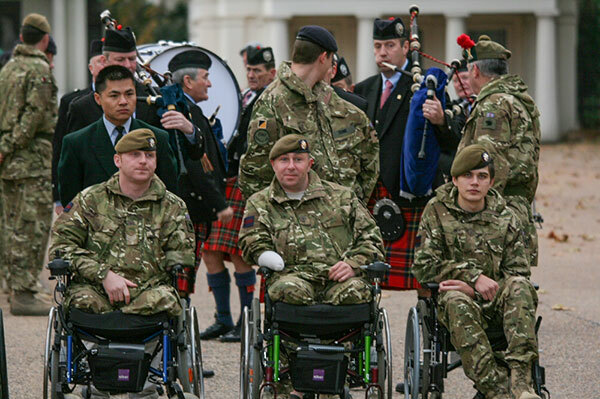 We set up the Scots Guards Charitable Fund and The Colonels Fund to provide our soldiers (serving and retired) and their families with the assistance they deserve. We provide assistance through many means, including (but not exclusive to) debt relief, respite breaks, mobility assistance, education, home improvement/mobility alterations, family and financial support. If you need help, or know someone who does, then please get in touch with your local Scots Guards Branch and they will link you to the people who can help you.